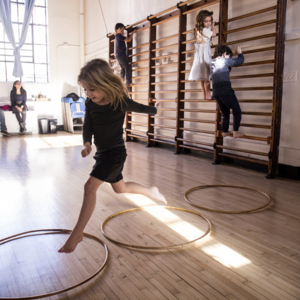 A child in the VsW leaps from hoop to hoop in Rhythms class. 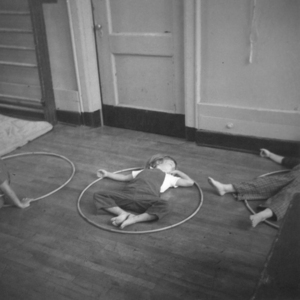 A girl rests inside a hoop during Rhythms class. 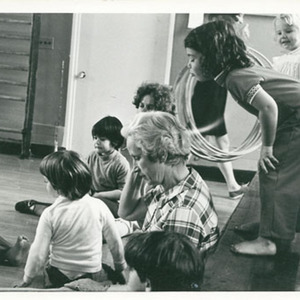 A child leaps over a rolling hoop in Rhythms. 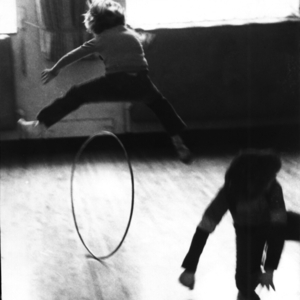 A girl leaps across the room from hoop to hoop in Rhythms. 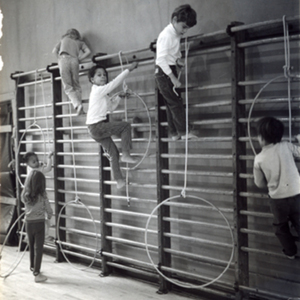 Class of 1962 working with hoops in rhythms. 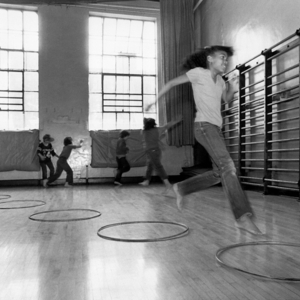 XIIs work with hoops in rhythms. 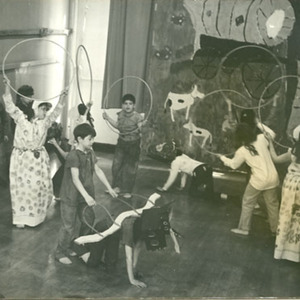 Lower School children working in rhythms with hoops, with Sylvia Miller. The IXs work with hoops in rhythms. 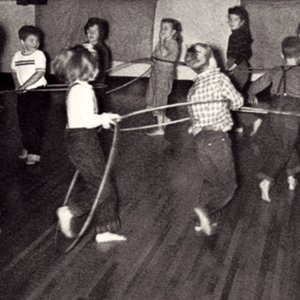 The IVs work with hoops in rhythms. 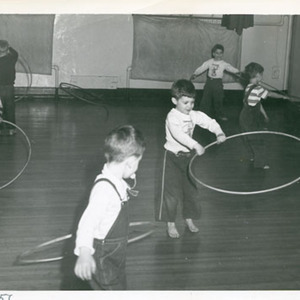 VIs working with hoops in rhythms.